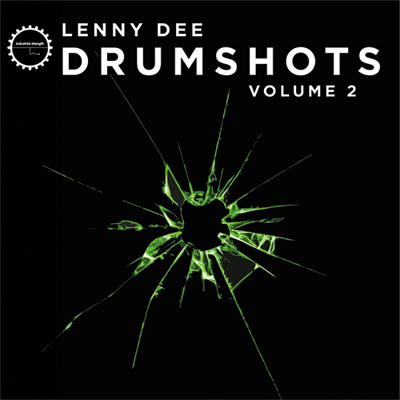 Lenny Dee: Drumshots' is the newest collection from none other than ISR's Lenny Dee. This collection of drum hits is from Lenny Dee's personal drum collection that he has created over the last twenty years in the music business. This is the first of many packs to follow. Mr. Dee has done countless sessions with his loops and drum sounds throughout the late 80's and mid 90's. If you needed a loop, drum hit, or dirty layer in New York or London during this time, then Lenny Dee was the man to call. He worked with the likes of KLF, Arthur Baker, Eric Kupper, N-Joy, Caspa Pound, Victor Simonelli, Carl Cox, Al Jarreau, New Order, The Shamen, The Tramps, and of course his legendary studio partner Frankie Bones. The list is too long for this or any blurb actually! This new collection was so big, ISR decided to release it in smaller packs over time at a great price. This first pack contains a plethora of drum sounds that he recorded and created in NYC, London, France, Holland, and pretty much all over the world. Some of the sounds in this pack were recorded through an SSL E, G, Neve, Amek, Harrison Api, Sound Craft, Sony Mci, and right on down to lo-fi Mackie mixers and various DJ mixers. Sounds were also made in the box with modern software and samples recorded to tape. Some shots contain effects, but for the most part the sounds are dry and have enough headroom for you to add any effect with no premastering issues. All the samples are 24-Bit, 44.1kHz. The samples in this pack have 100% potential to find their way into any production, ranging from Pop to the most modern and demanding underground electronic music. 'Lenny Dee: Drumshots' also boasts Battery 3, NI Maschine, Logic ESX, Redrum and Kontakt 4 Kits to make this pack a flexible tool when trying to access these sounds. Don't miss out on this truly historical sample pack of drums sounds from this legendary producer!